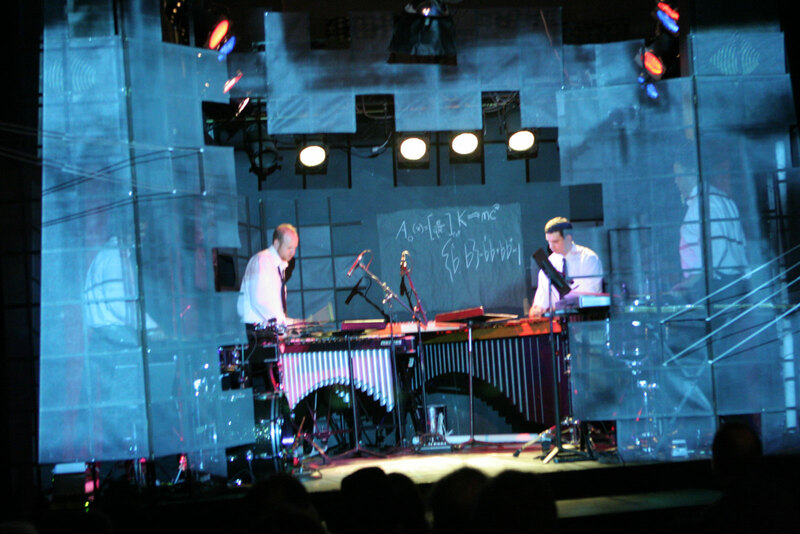 Starting well before the year 2000, I was in discussion with Paul Schick concerning new ideas for opera. 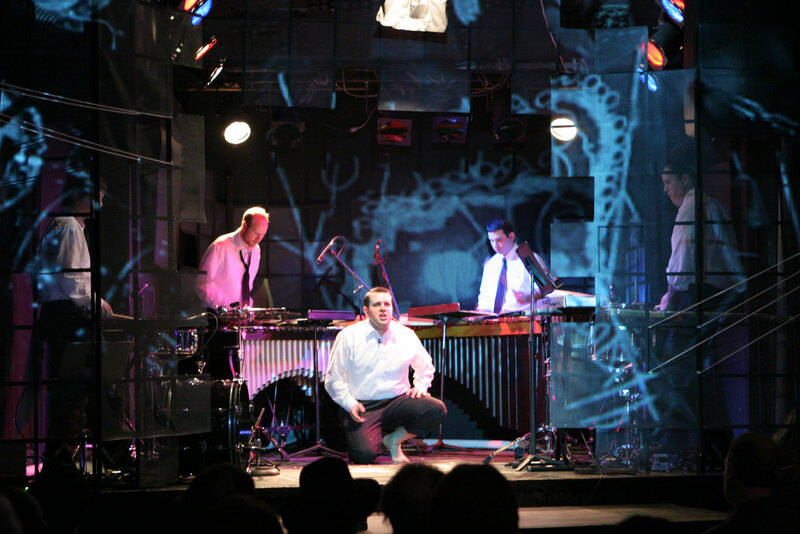 He was in the early stages of forming Real Time Opera, which has gone on to produce a number of notable works. 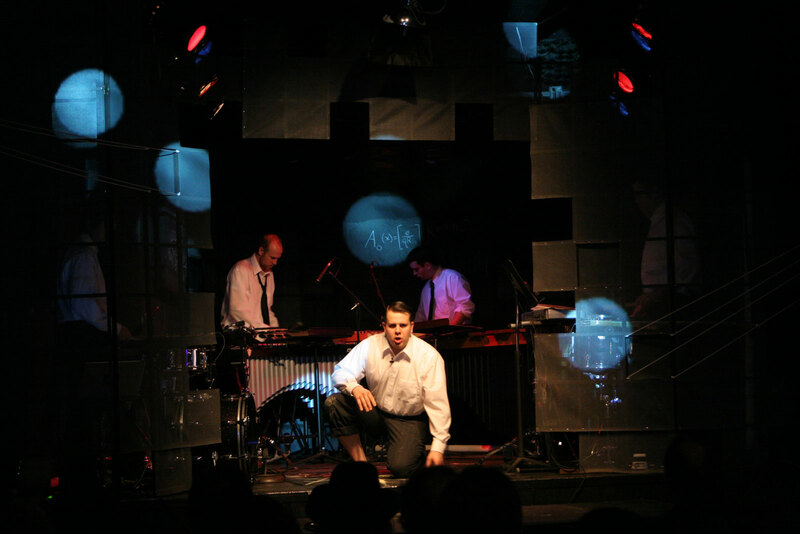 I knew that I wanted to write a piece on the life of Richard Feynman, the physicist, and Paul and I agreed that Feynman’s own words and ideas would provide us with a strong basis for trying something different with opera. 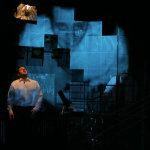 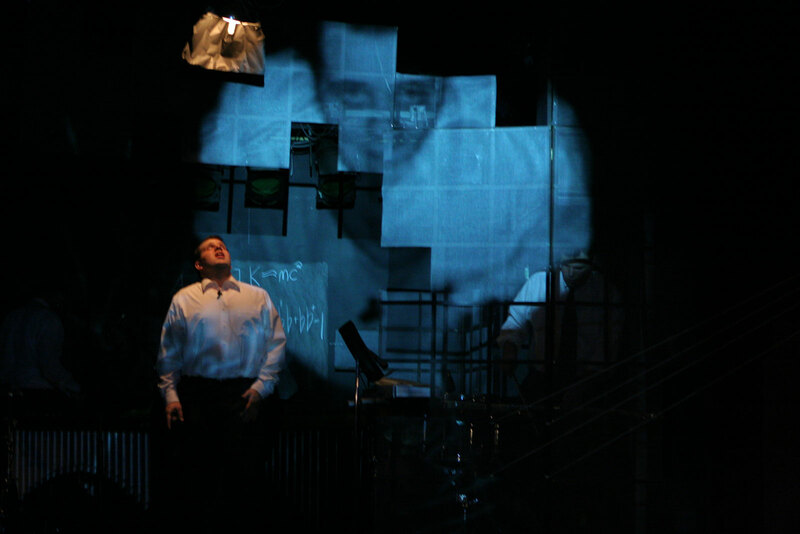 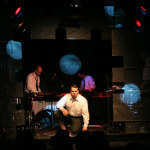 The photos on this page are from the NYC production at the Knitting Factory in 2005. 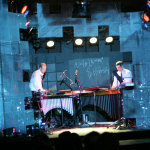 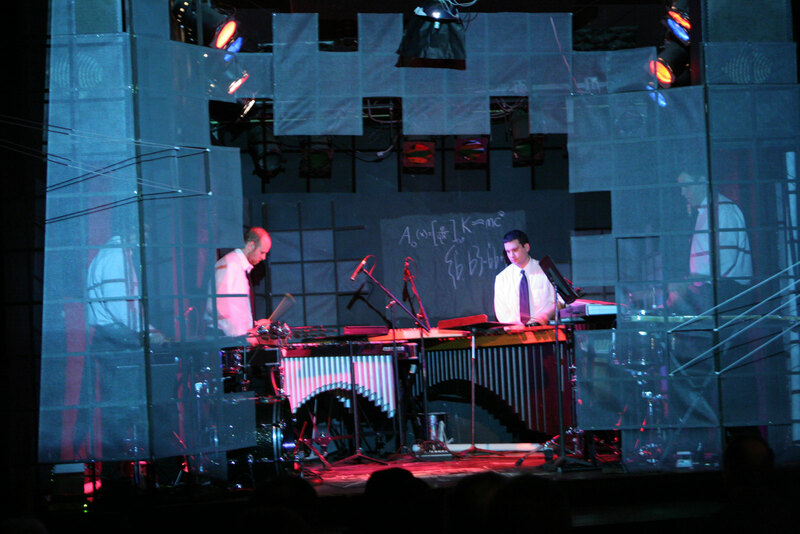 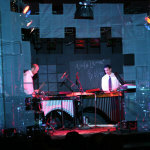 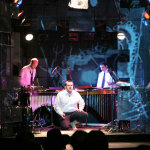 SO Percussion and Michael Cavalieri were the performers, with with lighting and video design by Barry Steele and scenery design by Damen Mroczek.